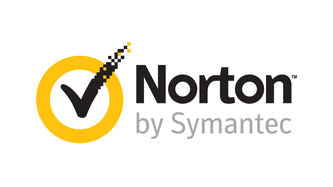 New statistics from Norton by Symantec have revealed that Australian parents may be struggling when it comes to cyber safety, with more than half of Aussie mums and dads with digital native children confessing they are unsure of the correct way to raise them in a digital world. The release of the findings coincides with Safer Internet Day today, an initiative driven in Australia by the Office of the eSafety Commissioner, which is a reminder to parents that they can inspire positive change and teach children how to navigate the online world safely by developing four critical skills, known as the 4Rs: Respect, Responsibility, Reasoning and Resilience. With that in mind, Norton by Symantec’s findings have revealed that cyber bullying looms largest in the minds of parents, with almost three quarters (74%) worrying their children will encounter abuse. In addition, seven in ten parents (71%) fear their children will find themselves in dangerous situations online and not know how to respond, while almost six in ten parents (57%) agree that technology does not generally encourage positive behaviour. Educate your child about online safety. Focus on screen time quality. Often, we think of healthy technology use in terms of time, but quality screen time is just as important. Thirty minutes spent creating artwork on screen could be more valuable than thirty minutes spent playing a video game. Aim for quality and guide your child to use technology in positive ways.Protection against cybercriminals via the latest software updates. Teach your kids about phishing. Keep social networks more secure. Identify and avoid potential Wi-Fi threats. Ensure you have the latest cyber security software in place to help protect your devices in and out of the home. ← PARKRUN… WHY IS IT SO MUCH FUN?